There are so many scams out here/online. And scammers are reaching out to their potential victims through so many mediums like the Internet, telephone, and sometimes in person. The common mission of a scammer is to extract as much money as possible from their potential victims. People like seniors and other vulnerable people are more than likely targets of scams. Unfortunately, some of them become victims unwittingly. And they won’t know that they’ve become a victim until it’s too late. Today, we’re going to take a look at a scam that has been around for quite some time. These are known as lottery scams. These should not be confused with the lottery games that are played in the United States. However, this is a type of scam in which the scammer will claim that you have been chosen for a grand prize or something similar. Let’s dig into how this type of scam works and how you can protect yourself from becoming a victim. It’s uncertain when exactly these lottery scams have started. But we can likely trace it back to a time when the Internet was rising in terms of popularity. During its infancy, the amount of users was smaller compared to what it is now worldwide. Because of advancements in digital technology, scammers have moved away from traditional methods like a telephone scam and used the Internet to their advantage (or disadvantage). Something to keep in mind, you cannot win a lottery without a winning ticket. There is no such thing as an email lottery or a lottery where no tickets were available for sale. So, you’ll need to be aware of something like this. Sure, you may not play the legitimate lottery. But, it’s a no brainer for players and non-players alike to know that it’s not how the whole thing really works. At the outset, the scammer will email you and tell you that you won a random drawing and won a grand prize (specifically a large amount of money). Right from the get go, the scammer will request you to send an undisclosed amount of money. The scammer will say that the money is an advance fee that you need to pay before claiming the prize. Legitimate lotteries often subtract the money from your winnings for tax purposes. However, the scammer will make something up to make it look like some kind of legitimate fee. The scam lottery emails often come from addresses linked to free email accounts. These include, but are not limited to: Outlook, Yahoo!, Hotmail, Gmail, Live, or MSN. Basically, the scammer will have an email address that is linked to these free email services. What the scammer will also say to the potential victim is to keep their winning a secret. That’s because if someone were to mention that they won via an email lottery, that person will tell the “winner” that it’s actually a fake. If you receive an email or even look at a sample, you’ll notice that there are inconsistencies. 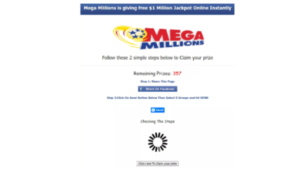 By inconsistencies, you’ll notice that an email might be sent to a UK citizen telling them that they won a prize in US Dollars in a lottery located in a foreign country (i.e.–South Africa). In the UK, the currency they use is called Pounds. The US Dollar is not the official currency of South Africa (which is the Rand). Of course, the obvious giveaway of them all is the grammatical and spelling errors. These scam emails are loaded with them. There is a variation of this scam that exists. For example, the scammer will inform the potential victim about a vacation that they won (Ex: A 7 day/6 night Caribbean Cruise). What the scammer will do is insert false scarcity (i.e.–Respond within 4 minutes) and tell them that if they don’t respond within a certain time period, they’ll miss out. This will trigger the age old fear of missing out or FOMO in a suspected victim. What the scammer is trying to do is extract as much personal information as possible from their victim. After a victim calls the “agent”, they are asked to come to an office where they will receive more information about the trip. One of the “conditions” that they receive is paying a multiple amount of the prize value. One can say that the one way to protect yourself is using your common sense. But once again, the scammers often target older people and those who may not have an understanding of how a scam works. An example from this is children. They may find ways to gain access to your personal information and give it over the phone. They do this without knowing they’re giving it to someone who may use that information maliciously. 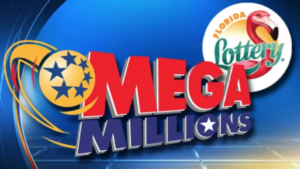 Your state lottery agency will not charge you to get your prize. A state lottery official will not contact you personally about you winning the prize. The only way they’ll know who is a winner is if someone has a winning ticket and informs the agency on their own accord. Lottery officials will not ask you for money upfront. There is no such thing as winning the lottery without purchasing a ticket. Scams will continue to exist. And they will continue to do so for as long as possible. It is important for you and your loved ones to be aware of any scams that may exist and protect yourself if you’re ever approached. One of the old adages to follow is “if it sounds too good to be true, it probably is”. Never under any circumstances give your personal information or send money to anyone you do not know over the phone or via the Internet. 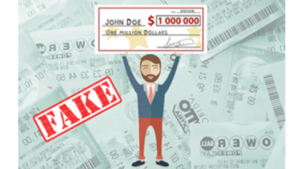 Do you have any experience with lottery scams? Have you been involved in a lottery scam before? Do you have any questions concerning my lottery scam review? If you do, please leave your comments or questions below, and I will be more than happy to get back to you. Thanks again for checking out my post, and good luck with your success online..